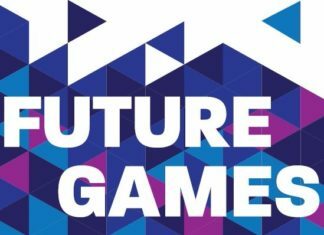 Esports BAR Cannes returns again in February (12-14th), and the organisers, Reed MIDEM, have big plans for it yet again. This year marks a return of the Game Shaker Awards with Jean Alési the former F1 driver becoming an ambassador for the event’s awards show. The most notable addition to the Game Shaker Awards is the addition of the “Community Shaker”. The aforementioned award will be given to the team with the best community and support. ESI: How has fan engagement grown with the Fnatic brand over recent years? WS: Fan engagement has enormously grown in the past 2 years, mostly signalled in a growth of followers on our social media channels such as Instagram and Twitter but also views on Youtube. Of course fan engagement stretches a lot further than that and Fnatic is unique in the way it organises all kinds of fan activities at esports and gaming events such as Gamescom, Paris Games Week, IEM Katowice, The International and League of Legends Worlds finals among others. We see also a substantial love coming from our brand ambassadors such as Pow3r an KayPea and finally we of course see this in the popularity of our merchandise, apparel and gaming hardware. All in all it’s hard to put it into one number yet it’s obvious from all that our brand has set itself apart when it comes down to exciting esports fans across the globe. ESI: Esports tends to have a problem that fans are attached to players, rather than teams. Do you find this with Fnatic, or is this beginning to shift? WS: With Fnatic we’ve always been conscious that a fan should love us both for the players we have in our team as well as our continuous effort to remain successful over the years. I believe we’ve built a very long lasting trust relationship with our fans that no matter what, Fnatic will always rise to the global top. Aside from that, our motto is that ‘It’s always better to be a Fnatic fan’ and I’m confident to say that that’s actually true for all other things we have to offer to our fans. ESI: Is it the responsibility of organisations to forge communities, and is it possible for fans of different esports to intermingle and become one big community? WS: Communities will form itself and no difference for Fnatic fans. 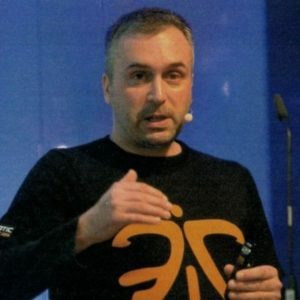 I think our role is to facilitate and support the Fnatic communities where we can. We for example have created the Fnatic Meta Bunkr where Fnatic fans can connect and engage with each other in a virtual environment. We also organise viewing parties and are active in communities active on Discord etc. These are however initiatives often started or ran by fans and that’s how it should be. ESI: Who do you think are the strongest contenders for the new Games Shaker award? WS: Personally I think FaZe and Cloud9 are strong contenders for the work they’ve done also to break out to more mainstream appeal and unite fans behind their brand. But in general many teams could have a mention here since there are so many organisations out there I know who go at great length for their fans. ESI: How important is an award recognising communities in esports? WS: Although it comes with more nuance, it’s true that we do it all for the fans and the community. No fans, no esports. As we know esports is a more than a passion for millions and millions of fans. I think that explains the importance if recognising the communities and the people behind it.